Over the weekend Rich and I went with some friends to see the Muppet Movie and it was fantastic. Our group was the youngest in the theater, and we brought in Rich's Animal doll and shook him around when he came on scree. It was so much fun! I was smiling the entire way through the movie. There were only 3 times that I found myself crying, first because I was laughing, during Rainbow Connection and finally in the last scene. Even with tears, I was still smiling. What a perfectly fun, enjoyable movie. You must go see it now! Drop what you're doing and go. Its the third best gift in the world (go see it to get the reference). After the movie Rich and I were talking about how we'd look as Muppets and we found this great website from FAO Schwartz that lets you create a Whatnot or a Muppet of yourself! I would buy one, but its so fun to make them. These are of Rich, I made the monster one. 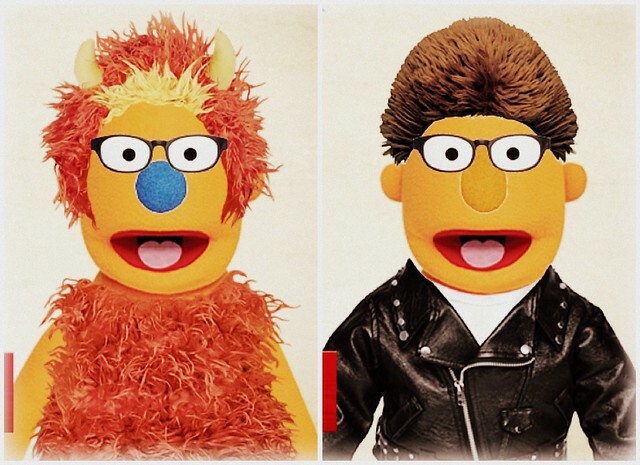 There were a few I made of myself, but turning my boyfriend into a very manly muppet was much more fun. We went to see the movie at the weekend too - my boys the muppet fan, I never got into it as a child but it was a fantastic film - we're huge big bang theory fans too so we loved the random cameo! Usually I don't think this movie would be my kind of thing, but Amy Adams is absolutely enchanting (excuse the pun), so it is definitely on my to watch list! i REALLY want to go see this. I WAS SUPPOSED TO SEE IT TODAY, BUT MY FRIENDS ALL BAILED ON ME. I am so excited to see it, though! yayaya! It's good to hear you liked it. I'm sure it's great. I want to see the Muppet movie so. badly. Now I want to see it even more! 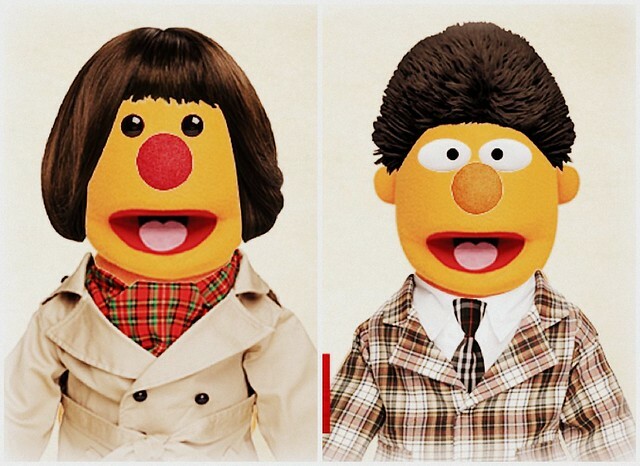 Also, you and Rich make terribly cute, fashionable muppets. LAME! Tell them they have no idea what they are missing. I've been wanting to see that movie so badly and this is making that urge even stronger! I need to find time to see it!